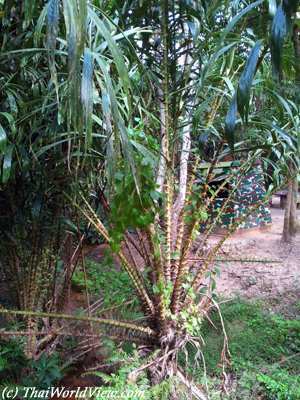 Huay Yang waterfall National Park features lush ground with a wide variety of trees and plants. 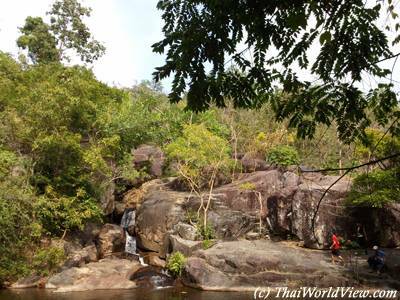 Huay Yang waterfall National Park (อุทยานแห่งชาติน้ำตกหัวยยาง) includes a beautiful 5 tiered waterfall. 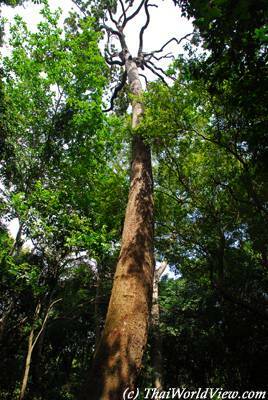 Inside the tropical forest there are many HUGE trees. 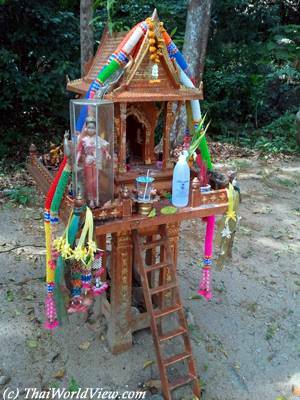 Inside the forest, there is even a Mae Takhian (แม่ตะเคียน) shrine. 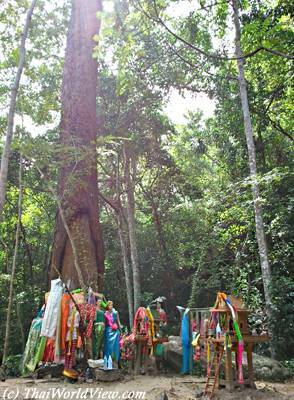 Mae Takhian is a female spirit living in Takhian tree. 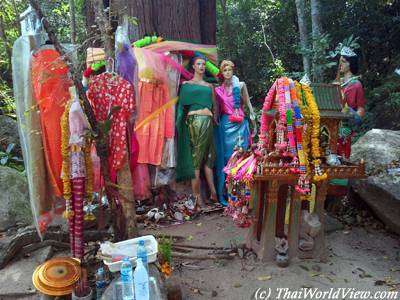 Many Beautiful traditional Thai dresses are offered to the spirit. According to the legends, it is wiser for young men to avoid the spirit at nighttime as the female spirit might drag them away. 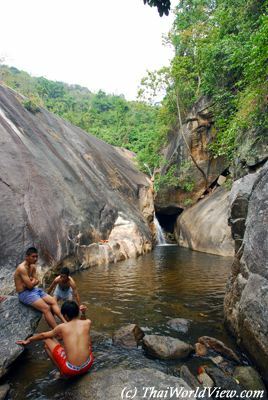 Huay Yang waterfall National Park is a nice place for a fresh bath, nature discovery and lunch in the forest. Fish food is available for sales. Kids love fish feeding. 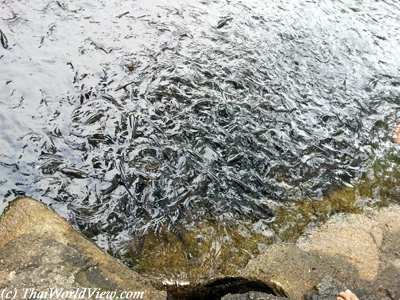 Hundreds of fishes can be seen in ponds. Path to waterfalls high levels is quite easy as many steps are sculptured directly inside huge rocks. 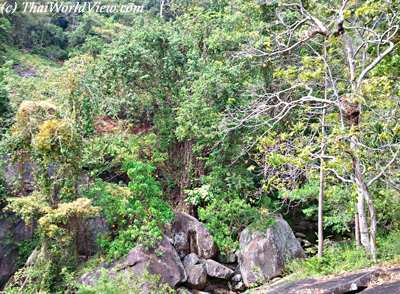 The way to the various waterfall levels offers beautiful views inside the forest and also above the forest as it reaches 200-800 meters above sea level. 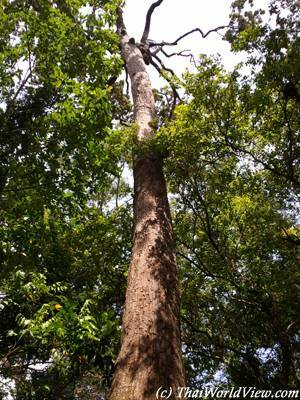 Wildlife are abundant and many sounds can be heard. The park is said to include leopard. 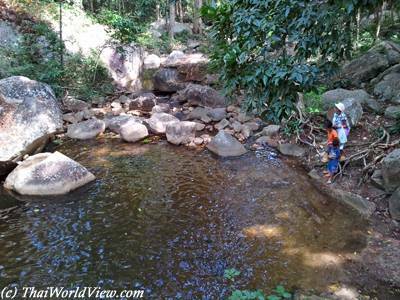 The last waterfall level is not so impressive during dry season but certainly gorgeous during the rainy season. 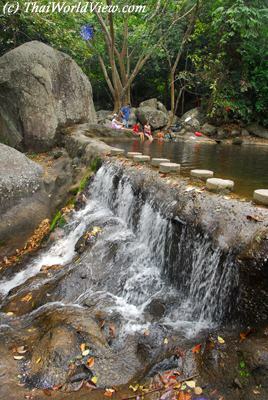 Huay Yang waterfall national park has a size of 161 square kilometers. 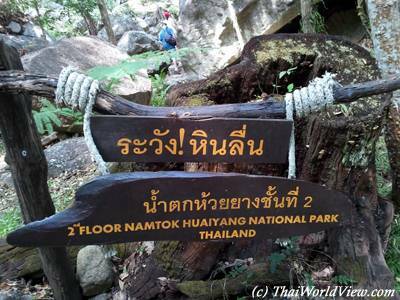 It is a national park since 1991.